I have chosen a Servants’ Wages book from the Derby Royal Infirmary which details the wages paid at the Infirmary from 1828 to 1855. The Infirmary was built by voluntary contributions in 1804 with the first patients being admitted in 1810. The ‘servants’ mentioned in the book span a variety of occupations including cooks, kitchen maids, laundry maids, porters, and nurses. 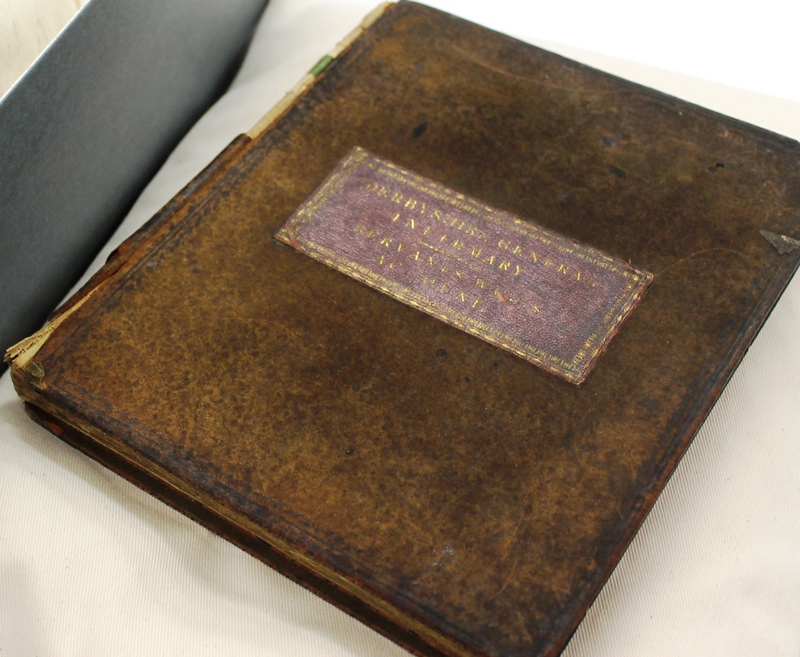 The book provides a snapshot of the staff employed at the hospital in that period – this is especially valuable because records of an individual’s employment from the 1800s can be very hard to find. The wages book was one of the most memorable archival collections I have dealt with because of the unusual addition that came as part of the same auction lot. We had not paid attention to the last line of the auction house’s description, and were very surprised when we received a package which contained both the wages book and a Victorian death mask! Sadly we know no further information about the mask, who the deceased was or if she even had a connection to the Infirmary. 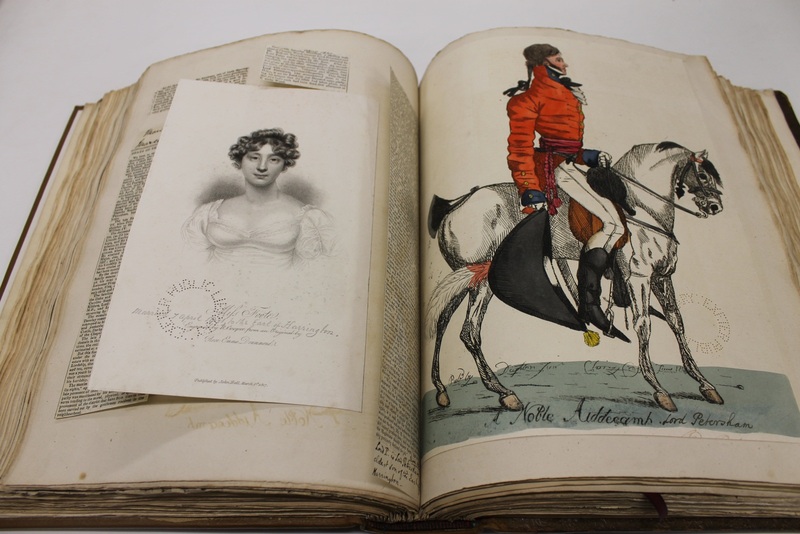 This treasure dates from the days before books routinely came with illustrations, and when prints and engravings were (just as today) highly prized by collectors. It was chosen by Sue Peach, Local Studies Librarian, who writes: “We don’t like the idea of defacing books nowadays, but the antiquarian Thomas Bateman of Middleton by Youlgreave (1821-1861) personalised all four Derbyshire volumes of Magna Britannia by Daniel and Samuel Lysons, by pasting in cuttings and engravings, a process known as “grangerising”. By doing so he has given us a wonderful resource, many of whose images are now on Picture the Past”. Bateman’s contemporary, Isabella Thornhill (1800-1878), had the same idea, and grangerised her version of the Lysons’ text in six separate volumes, as described in our catalogue. 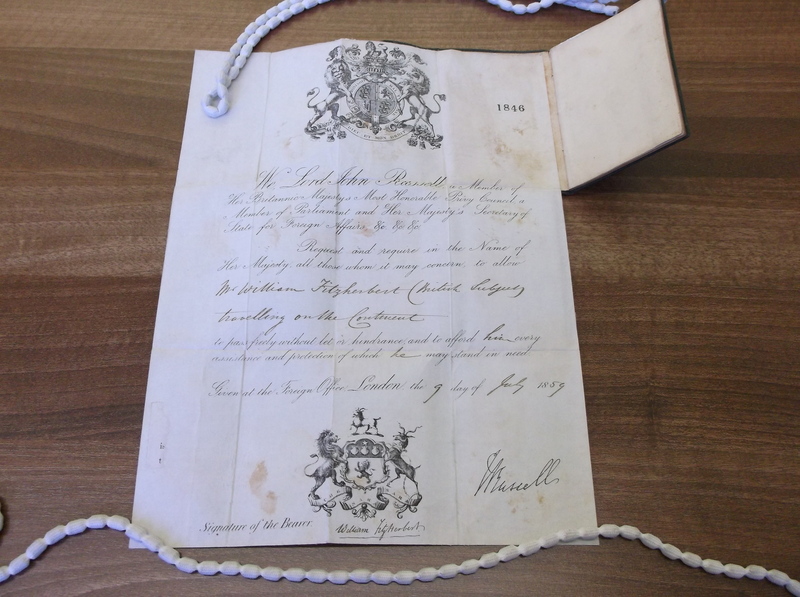 You may remember reading of Isabella, who was one of the Gell family, in a previous post after we acquired her diary. 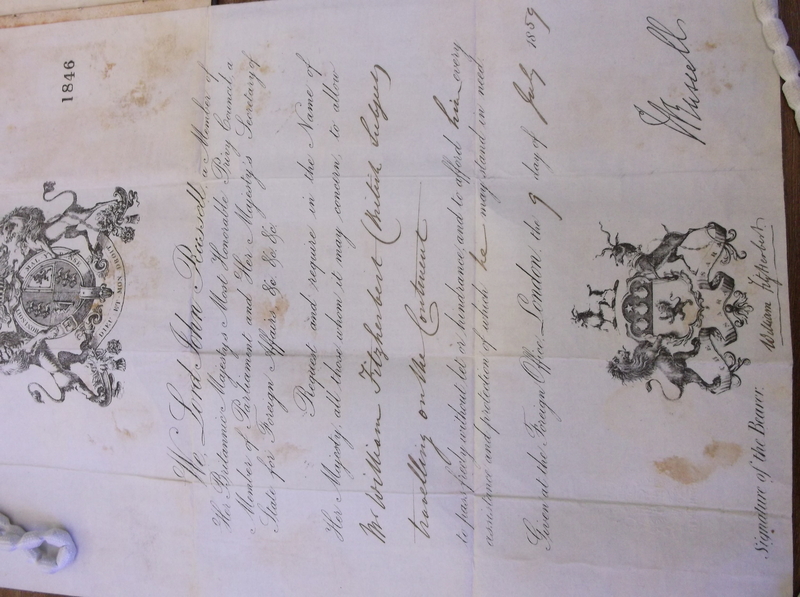 This letter (D3311/81/1) dates from 1849 and comes from the Franklin family papers held here. 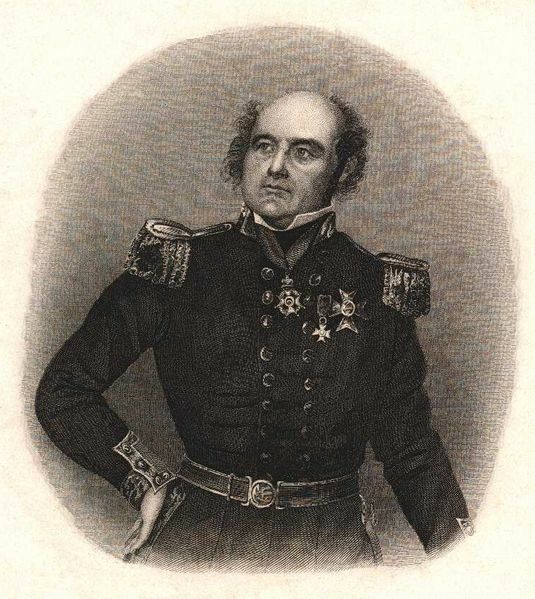 These include letters, diaries and poems of Eleanor Anne Franklin (nee Porden), letters and journals of William Porden, letters and other papers of Sir John Franklin and Lady Jane Franklin, as well as letters of Eleanor Isabella Gell (nee Franklin). 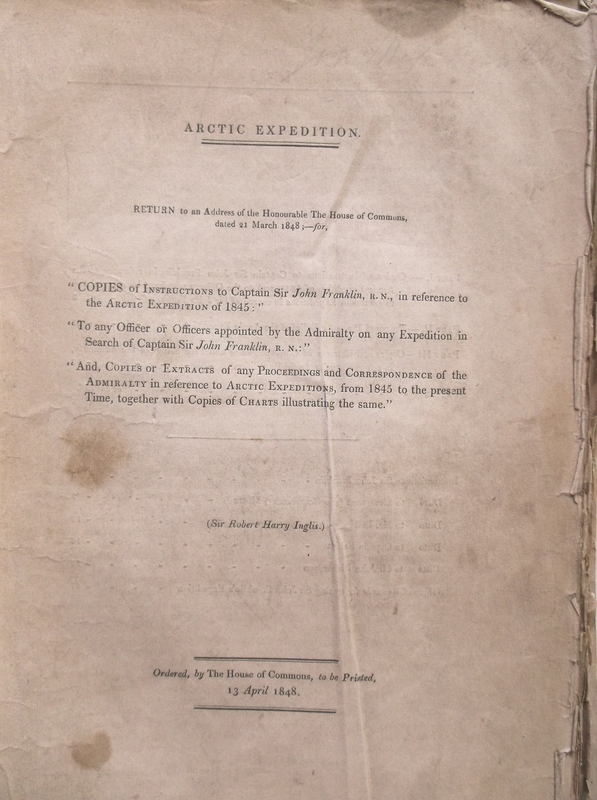 There are some prints and several printed works including works by and belonging to Eleanor Anne Franklin (nee Porden) and works about the Arctic and Franklin’s expeditions. 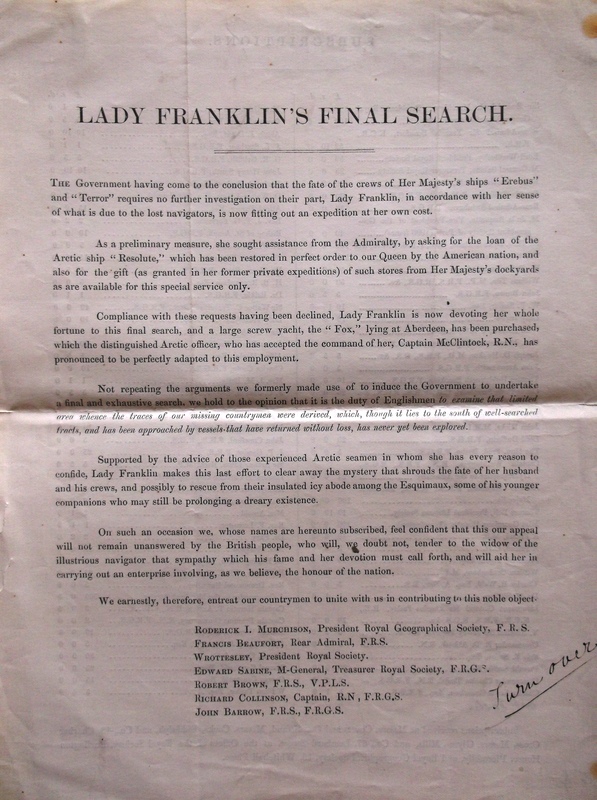 The mystery of Franklin’s lost expedition has inspired many artistic works, poetry, dramas, and traditional folk songs such as “Lady Franklin’s Lament”, commemorating Lady Franklin’s search for her lost husband. 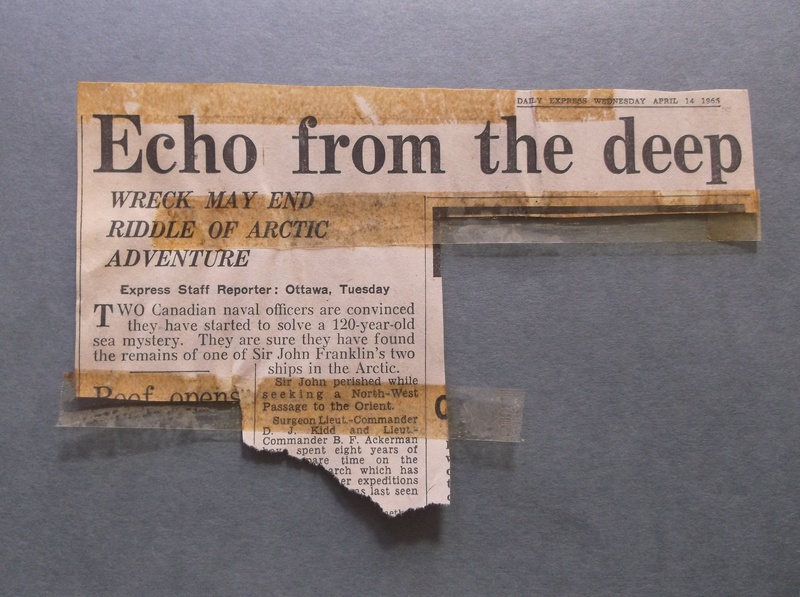 The search came to an end in September 2014, when the remains of Franklin’s ship, the Erebus, were discovered in the Victoria Strait near King William Island, as you can see from this BBC report. 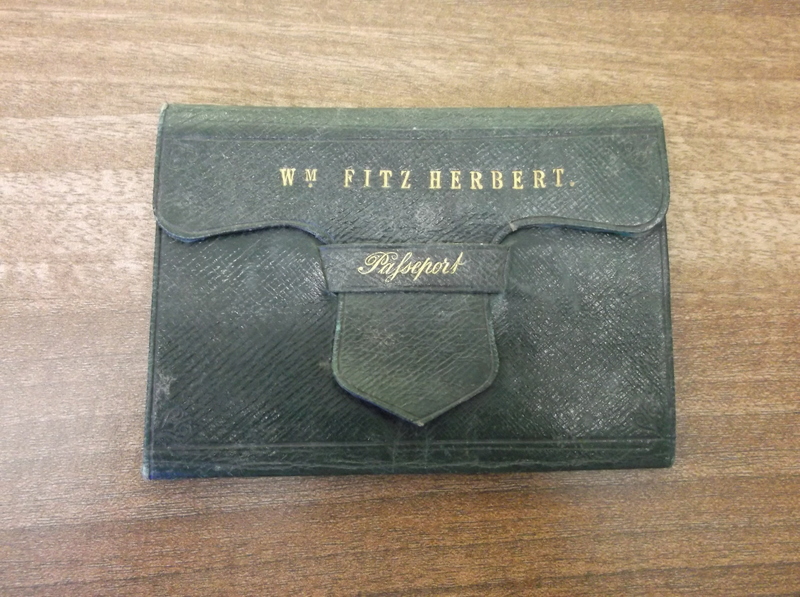 This treasure was chosen by our Assistant Conservator, Clare. Here’s some more evidence of how useful we have been finding our volunteers. 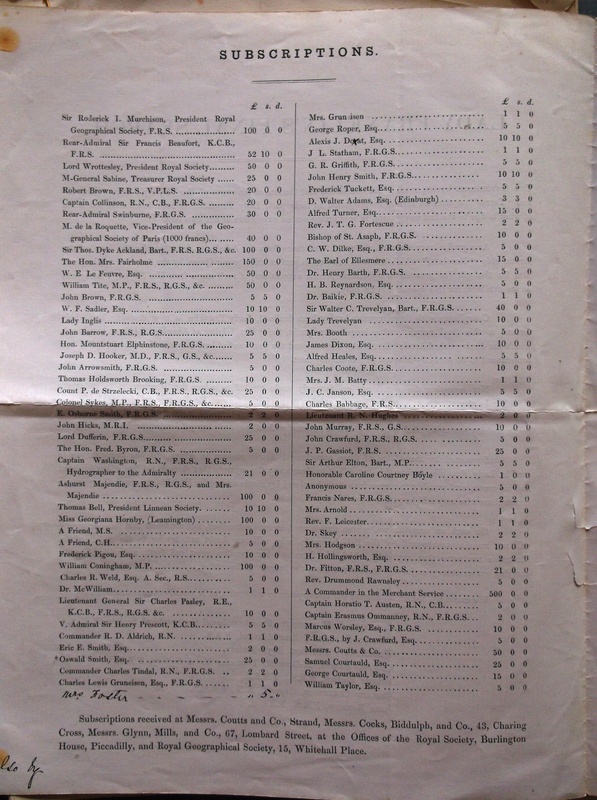 Our volunteer Mavis recently wrote a fuller description of a volume in the archives that had previously been described in only three words: “Belper Watchman’s Journal”. 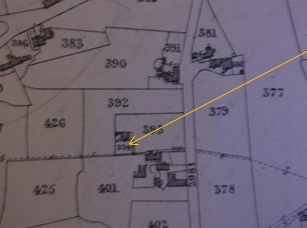 The full description, courtesy of Mavis, can be read on the catalogue, under reference D5917. The first thing that had to change was the word watchman, which should have been watchmen. There was not one of them, but a whole team, charged with keeping good order in the town overnight, and maintaining a record of the people they encountered as they patrolled the streets. It had been a legal requirement to employ watchmen since 1233, but these records date from the 1840s, and the men were not, so far as I can tell, employed by the state. (Please correct me if I’m wrong! I won’t mind.) Instead, their wages were paid by textile giants the Strutt company, which owned such a high proportion of the property in Belper. Among their principal duties was the checking of gas for street lighting and water levels. This was not what I had been expecting to be told, so in curiosity I checked the catalogue for our Strutt collections and realised that there was a whole series of similar records which we received separately from D5917 (reference D6948/11). The volume that Mavis had described was a sort of long-lost brother to the others. 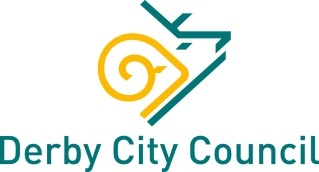 Do bear in mind that this describes the system in Derby, but it is said to have been modelled on that of Belper, so it looks like this is a decent explanation of how these records were created.